Strontium is a mineral that is similar physical and chemical properties to calcium. Research has shown strontium provides all-natural bone support. 60 capsules. Bone is the rigid structure that makes up our skeleton, but is actually an active, living organ that is constantly being built up and broken down by osteoblasts and osteoclasts. The proper balance of this cycle and turnover of bone provides the foundation for strong bones over a lifetime. Strontium is a mineral that is similar physical and chemical properties to calcium. 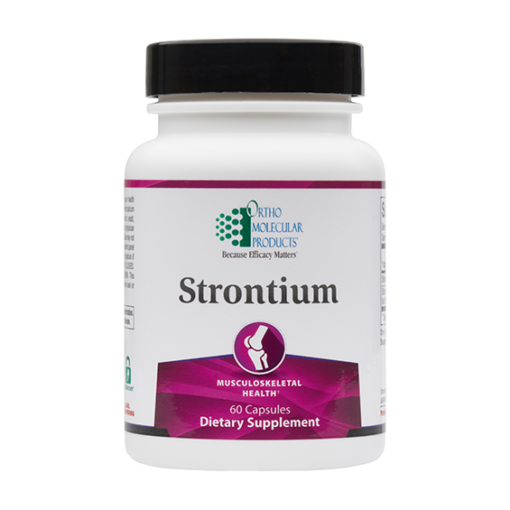 Research has shown strontium provides all-natural bone support through its ability to naturally increase the formation of osteoblasts (cells that build up bone) and slow down the formation of osteoclasts (cells that break down bone tissue), helping to maintain healthy bone density. 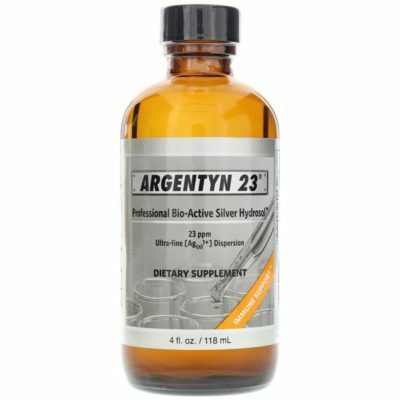 1 capsule two times per day or as recommended by your health care professional. 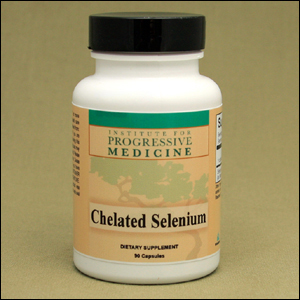 For maximum absorption, do not consume with calcium supplements. 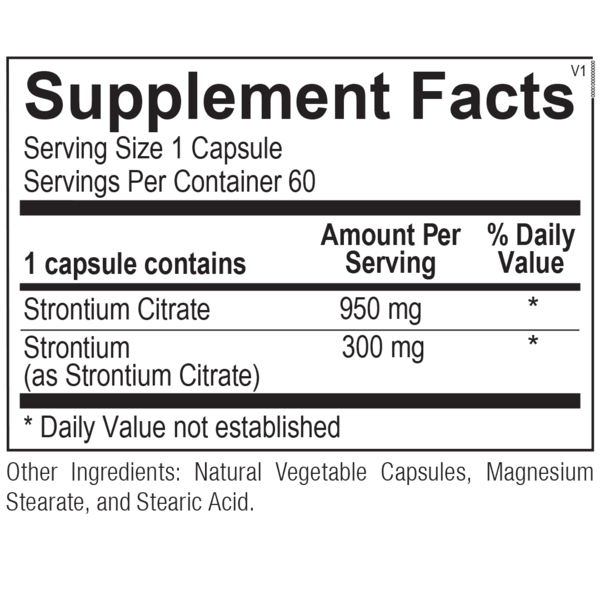 A growing body of research highlights the benefits of strontium in skeletal health. In the well-known PREVOS Trial, post-menopausal women were randomized to receive placebo or strontium ranelate (SR) at doses of 125 mg/day, 500 mg/day or 1 g/day for two years; all participants received 500 mg calcium per day. The study found that after two years, 1 g/day of SR significantly increased the osteoclast to osteoblast ratio in the lumbar region, compared with placebo. 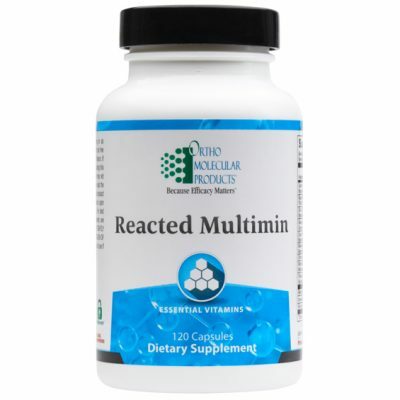 Emerging research also supports the use of strontium for musculoskeletal health and maintaining normal inflammatory balance. The high-dose SR treatment has been shown to support cartilage and bone health.